What could be called the Pompidou effect has already taken hold in Malaga and especially in the suroundings of the new museum’s location. A study by the organisation which runs Malaga’s commercial port zone, Muelle Uno, has predicted that almost a million more visitors will visit the area in the period between the inauguration of the Pompidou Centre in March and the end of the year. In concrete figures it is expected that the number of visitors to Muelle Uno will rise by thirteen per cent this year, to 7.8 million.Muelle Uno’s managers have pointed out that apart from the draw of the offshoot of Paris’s Pompidou centre, the port now has a bigger commercial and leisure zone and the area has been upgraded by, for example, the addition of glass walls to a number of bar and restaurant terraces so that they can be used in winter. There is a bigger interest by investors in being situated as close as possible to the cube where the Pompidou centre is to be located. The restaurant zone is 100 per cent occupied, meaning that new bars and eateries can only set up if an existing one closes. There is still, on the other hand, a lot of space for new shops and demand has risen so that – it is hoped – twice as many new shops open this year as last. Negotiations are still going on for the largest vacant slot in Muelle Uno, the corner space which is 1,600 square metres in size. The most recent rumour was that a supermarket was going to take the space. Now it seems that this may have changed. Those responsible have indicated that negotiations are still open and that interested parties with offers on the table include a food business and a toy company. “We have a higher demand now for quality goods with the presence of the Pompidou Centre”, they say. 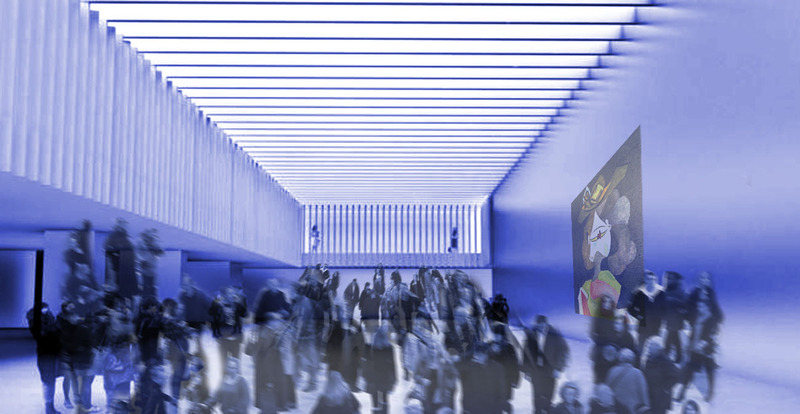 ← New Museo arte Ruso de San Petersburgo opens March 25th Málaga.